Most of us actually ran into this. I just did once again. 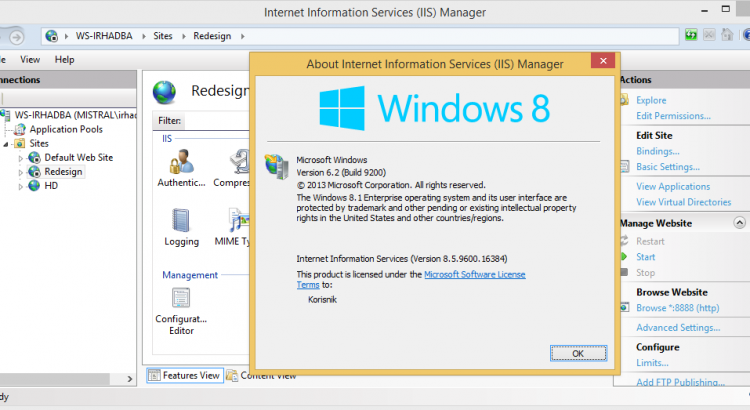 There’s a support.microsoft.com instructions on how to obtain each particular IIS version. The page also lists default IIS versions for each individual MS Windows version (check out the table below). Problem is, this page haven’t been updated since Windows 8, and you don’t necessarily have to have the default version installed. 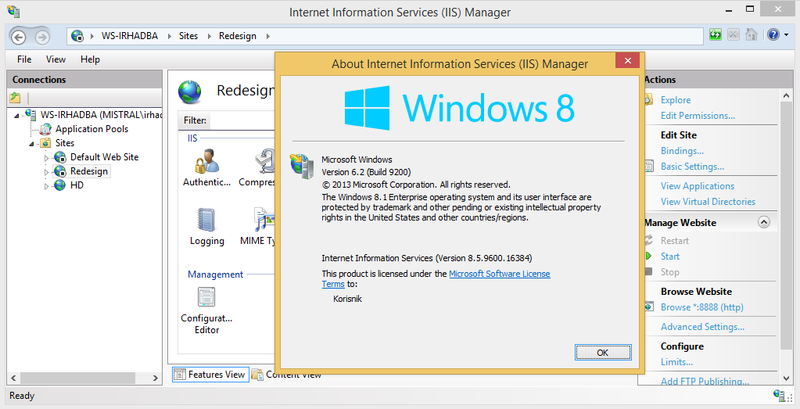 The easiest way for one to check their current IIS version is to open the IIS Manager, and then click on Help -> About. If you don’t have the IIS Manager installed, don’t worry there’s a way (although you should really install it anyways :D). Actually there’s multiple ways and one of them is given below.